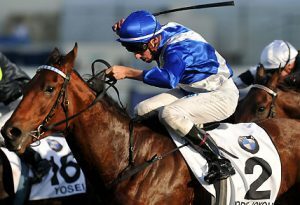 Doncaster Handicap 2019 Tips - Best Australian Horse Racing Tips - Sydney & Melbourne | Rosehill, Golden Slipper, Royal Randwick Races. “Doncaster Handicap 2019 – Sydney Autumn Racing Carnival 2018″ height=”200″ width=”300”>Group 1 $3 million Doncaster Handicap – Randwick, Saturday 6 April 2019 over 1600m – Sydney Racing TIps. Whilst Melbourne has attempted to hijack the Sydney Racing tips Doncaster Handicap with the All Star Mile, the Doncaster holds pride of place as the premier Group 1 open handicap 1600m event in Australia and we doubt this will ever change due to the quality of this magnificent race. Sydney Racing Tips analyst Blaazing Ben Perkins is one of Australia’s most informed and best judges of Racing form over a long period of time with his insightful and colourful commentary and he will be there with all of the form and tips for a big Sydney Autumn Racing Carnival 2019. iTipsports Racing provides expert Sydney Racing Tips to subscribers the day before race day with Saturday Racing tips an easy to read form sheet with prices and analysis. The Sydney Racing tips Doncaster Handicap is a race steeped in tradition having first been run in 1866 in a field wiht an unbelievable 30 horses, can you believe it. It is a race that has been dominated by the late great TJ Smith having won the race 7 times and his daughter Gai Waterhouse having also won the race 7 times but 8th is proving elusive for Gai. Betting for the Doncaster is typically wide open and this is the case this year for Sydney Racing tips 2019 Doncaster Handicap. The Doncaster being a handicap race at weights immediately plays a role on making a “level playing field” and it certainly evens up runners to make it a wider betting race. The 3 year olds do get a big kick up carrying feather weights and have won 30 times averaging once every five years however the last 3 year old to win was Sacred Falls in 2013. The start to the Doncaster is one of the best in Australia, a classic with a long run over 600m to the first turn and allows horses and jockeys the chance to get a settled position meaning the barrier draw is less influential than some races. Also known as the Doncaster Mile, the race is now the feature event on the first day of the ‘The Championships’, the newly introduced two-day-two-week $20 Million autumn racing initiative that has completely revamped the Sydney Racing tips Autumn Racing Carnival. Four-year-olds have a good record of winning this race in recent times and if they can race on the pace then they are even more suited. The race is the autumn equivalent of the other great Randwick mile race of the spring, the Group 1 Epsom and the talented Racing To Win (2006) was the last galloper to win the Epsom Handicap & Doncaster Mile double. The Group 1 George Ryder Stakes held during the Sydney Racing tips Autumn Carnival at Rosehill racecourse has proven a good guide to the winner of this race over the past few years, with Vision And Power (2009), Haradasun (2007), Racing To Win (2006) and Grand Armee (2nd in 2003) all going on to win this race after winning the Ryder. Pierro (2nd in 2013) won the George Ryder Stakes before finishing runner-up in this event, while Love Conquers All (2nd in 2011) finished second in both races. Sacred Falls (2013-14) ran fifth in the George Ryder Stakes over 1500m at Rosehill before storming home to win this race for the second year in succession, emulating the recent feats of Pharoah & Super Impose, and recent Doncaster Handicap winners include More Joyous (2012) and Sacred Choice (2011).